Founded in the Black Forest of Germany by Hans Grohe in 1901, Hansgrohe is recognized worldwide for its significant contributions to the kitchen and bath. It has shaped the industry with numerous innovations and has 2,000 patents and counting. A winner of numerous awards throughout the world, Hansgrohe is regarded as a pioneer in technology and design, with proprietary products and developments such as the adjustable wallbar, the QuickClean function and AIR and water-saving EcoRight technology. Also the inventor of the multi-function showerhead and handshower, the company continues to be a market leader in showers and shower systems, as well as thermostat, pressure balance and ceramic cartridge technology. Globally headquartered in Schiltach, Germany, Hansgrohe serves customers in over 130 countries through 37 subsidiaries and branches. The company manufactures and assembles many of its Hansgrohe-branded products for North America at its modern manufacturing facility and N.A. headquarters in Alpharetta, Georgia. With top-notch products, it is no coincidence that Hansgrohe’s offerings can be found in prominent and prestigious projects such as the Aqua Building in Chicago, Terminal 5 in London’s Heathrow Airport, Las Vegas’ City Center, Jean-Marie Massaud’s Chivas Stadium in Mexico, and the Masdar City Institute of Science and Technology in Masdar City, UAE (the world’s first eco-city), among others. In Canada, Hansgrohe is supported by a Canadian-based customer service and sales and marketing team. 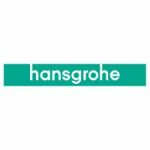 For more information on the Hansgrohe Sales and MAP Policies, click here.